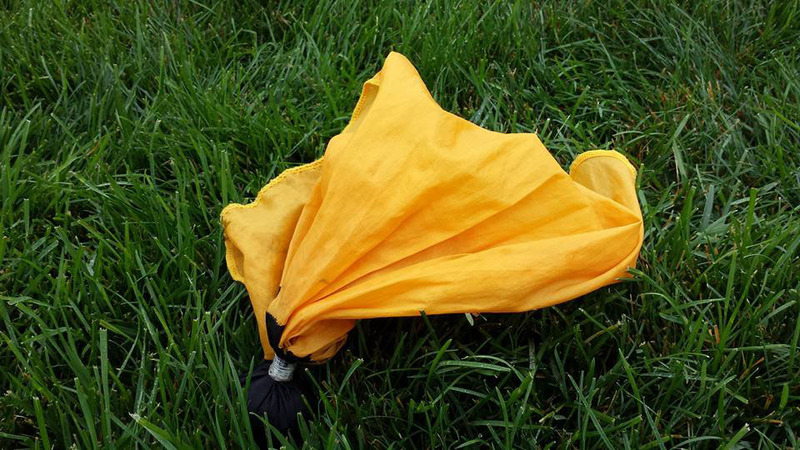 We’ll throw a penalty flag when we see bad information being spread about issues we cover. Case in point: the Governor’s spin about taxes. What if Iowa promoted our low business taxes, rather than run us down? Tax-cutters are in hog heaven in Iowa these days. They soon assume the levers of power at the State Capitol and they are planning to use them — no matter the consequences. But if they truly believed their own mantra about the economic glories of low taxes, they would be shouting “Mission Accomplished” from the top of the Capitol dome. For all their talk of making Iowa “competitive,” they would realize we are already there, and have been for many, many years. Once again, the national accounting firm Ernst & Young has examined the range of state and local taxes affecting businesses in every state plus Washington, D.C., and found Iowa is in the same place it always lands — the middle of the pack. Twenty-three states and D.C. tax business more heavily than Iowa, which is tied for 25th with six other states including neighboring Minnesota. Even South Dakota, despite a low-tax image trumpeted by western Iowa politicians, is slightly higher than Iowa. That is because responsible tax policy demands a comprehensive look at the impact of all pieces of the tax structure, as Ernst & Young does. Cherry picking only one tax that appears high — appears being the key word because this can be complex — ignores other offsets in the tax code. Yet, the post-election rhetoric has been a lot about tax cuts — tax cuts we cannot afford. To the extent state and local taxes matter in business decisions — and there is considerable evidence that they do not, despite the political spin — Iowa already is well-situated. In other words, the concept of “competitiveness” can be overstated easily. A tax structure would have to be markedly different from others, producing high-tax results that we certainly don’t see in Iowa, to make a difference in business expansion and location decisions. As we pointed out in 2014, Iowa is a low-tax state. This remains so. Why aren’t our elected officials promoting that if it is so important to them? Having already implemented what the Governor promoted as the largest tax cut in Iowa history with massive property tax giveaways benefiting big-box retailers in 2013, and recognizing state revenues are coming in more slowly than expected, our leaders need to take a deep breath. We cannot afford new tax cuts for business. For stronger economic growth, let’s turn the page and look at things that matter. Only if Iowa policy makers and the public ignore the reality on Iowa business taxes will these special interests get their way again. Iowa’s business lobby appears to be preparing a new assault on the ability of our state to provide public services. It would be the latest in a long campaign, in which lobbyists target one tax at a time under a general — and inaccurate — message about taxes that we will not repeat here. Suffice to say, Iowa taxes on business are low already. Many breaks provided to businesses are rarely reviewed in any meaningful way to make sure that taxpayers are getting value for those dollars spent, ostensibly, to encourage economic growth. Rarely can success be demonstrated. The Iowa Taxpayers Association is holding a “policy summit” this week and promoting a new report by the Tax Foundation to recycle old arguments that are no better now than they have been for the last decade. Fortunately in Iowa, we know where to turn to understand claims from the Tax Foundation, and that resource is Peter Fisher, our research director at the Iowa Policy Project. 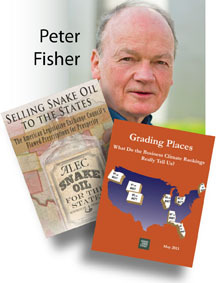 Fisher has written two books on the so-called “business climate” rankings by the Tax Foundation and others, and is a widely acknowledged authority on the faults in various measures of supposed “business climates” in the states. It is a mish-mash of 118 tax features … weighted arbitrarily and combined into a single number for the index. This number has no real meaning. It produces wacky results because it gives great weight to some minor tax features (such as the number of tax brackets) while leaving out completely two things that have a huge impact on corporate income taxes in Iowa: single sales factor, and federal deductibility. A variety of factors influence the decisions businesses make about whether they want to locate or expand within a given state. These factors include available infrastructure, the proximity to materials and customers, the skill of its workforce, and whether the state has good schools, roads, hospitals, and public safety. As we have shown elsewhere, state taxes play at best a minor role. In Iowa, we constantly hear the same old argument … used to enact large tax cuts for commercial and industrial property this past year and continues to be an excuse used to justify giving away large tax credits to businesses throughout the state. What the “State Business Tax Climate Index” offers is, at its core, an indefensible mish-mash of “Stuff the Tax Foundation Doesn’t Like,” which should be the title. The Tax Foundation’s 2012 State Business Tax Climate Index is out, and not much has changed — including the political talk about it. What this annual release offers is, at its core, an indefensible mish-mash of “Stuff the Tax Foundation Doesn’t Like,” which should be the title. Instead, the group slaps the term “State Business Tax Climate Index” on it, adds its slick logo and pretends the whole thing has meaning. For an ideological message, it may, but for decisions on business locations and expansions, not so much. Problems with the methodology of this “index” are outlined in my 2005 book, Grading Places, published by the Economic Policy Institute. Much of the latest Tax Foundation (TF) report reads verbatim from earlier versions. The Tax Foundation rests on contradictory messages. First, it claims that taxes paid make a difference in business decisions or growth, selectively citing literature to back the claim, despite a preponderance of evidence that taxes matter little. Then, it produces an “index” that has little relation to what businesses actually pay. In some cases, lower taxes actually produce a worse score on the index. Rather than measuring what businesses actually pay, TF instead focuses on selected characteristics of the tax code while ignoring significant features. Results differ wildly from a ranking based on what businesses pay in many cases. This is because of the TF emphasizes rates of tax, without considering the base to which those rates apply. This feature penalizes Iowa, which in fact is a low-tax state for business; according to Ernst & Young, only 18 states have lower overall state and local taxes on business. In other words, if a state — like Iowa with its single-factor apportionment formula — holds down the base on which tax rates apply, the Tax Foundation ignores the impact on actual taxes paid because it doesn’t like the rate structure. Ironically, the report penalizes states that offer tax credits, which TF views as harmful to the business climate, a defensible position because it creates an uneven playing field for competing businesses, and jeopardizes critical public services that benefit businesses and their employees. But tax credits have strong lobbies in the Legislature. When the anti-tax politicians crow about Iowa’s low ranking in this report, something tells me that is one part of it they will not mention. Like the Tax Foundation, they will stick with anything that backs the message they want to share, rather than examine the real issue of effects on business. Lawmakers often hear — and voice — complaints about the competitiveness of Iowa’s tax system. 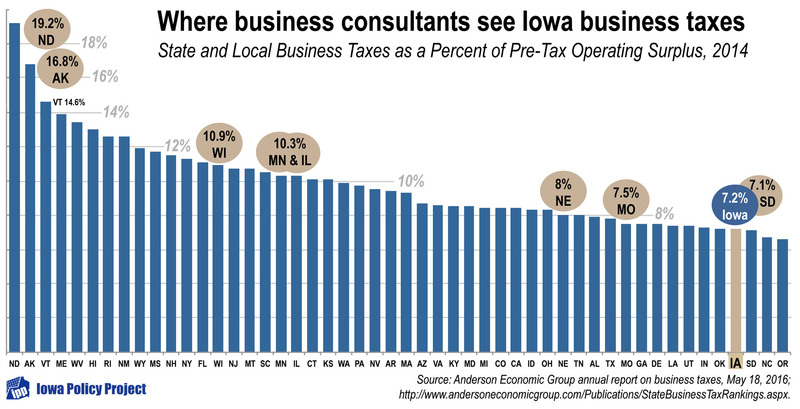 In fact, Iowa’s taxes on business already are very competitive. So said the Wizard of Oz, to distract his visitors from how he was manipulating them. Well, thank goodness for Toto’s work in exposing the fraud. Iowa’s corporate income tax in recent years has been considerably lower than the national average level of taxation and lower than all but 11 states. 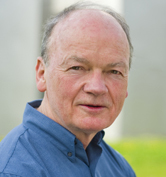 The best summary measure of the level of corporate income taxation from one state to another, that takes into account all features of the tax code, is the amount of tax collected as a percent of the private economic activity generated in the state, as measured by state private sector GDP (gross domestic product). 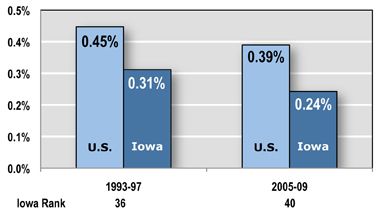 In Iowa, this fraction fell from 0.31 percent in the mid-1990s to 0.24 percent over the last five fiscal years, as shown in the graph above. On this measure, Iowa’s rank among the 50 states fell from 36th to 40th. (For the most recent year, 2009, Iowa ranked 36th.) In both periods, Iowa taxed well below the average for all 50 states. Similarly, the conservative Tax Foundation found that Iowa ranks 43rd among the states in its level of corporate income taxation, measured as corporate taxes paid per capita on average for fiscal years 2004-2008 (and 36th for 2008). See our two-page backgrounder on this issue at www.IowaFiscal.org.